A series of staffing changes to Sunderland’s youth set-up at the Academy of Light have been confirmed. Paul Reid, academy manager, has announced U18s coach Mark Atkinson has been appointed head of coaching following the departure of Mark McCormack. Paul Bryson, who used to oversee the U16s, will replace Atkinson, while ex-Sunderland striker Michael Proctor will take charge of the U15/16s group on a full-time basis. 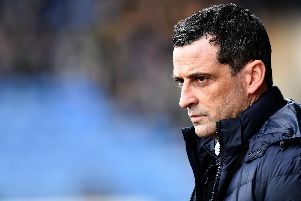 Sunderland have also confirmed Proctor will also continue to assist U23 coach Elliott Dickman following the departure of Cliff Byrne to Doncaster Rovers. “We lost Mark McCormack when I came in,” said Reid. “He decided his personal situation with living away from his wife was something he didn’t want to do for another year. “He left as I joined and also my old friend Cliff Byrne left as well. We played together at Scunthorpe and I was really looking forward to working with him. “It wasn’t long before he was asking for a chat because he had the chance to become assistant manager at Doncaster Rovers. He continued: “That left me with the chance to do a bit of reshuffling. I felt the staff here deserve the chance for progression because I want to make this team my team. “I made Mark Atkinson head of coaching, he is absolutely excellent and has flourished in the role so far. “Paul Bryson has been with our U16s and I promoted him to the U18s. Again, he is highly thought of and deserves his chance. I wanted him to feel valued here.